Are Your Buyers Driven By Emotion? Professional managers are supposed to make logical analytical decisions in buying, just as in any other area of business. However the reality on the ground can be different. – Make a pretty quick instinctive judgement as to the right product, or supplier. According to these sellers, these buyers are swayed by impulse and emotion for big as well as small purchases. However just because a buyer decides emotionally, does not take from the need to build a rational justification for the decision. – Guard against last minute nerves, cold feet or a change of heart, in particular where the buyer is worried about going out on a limb. 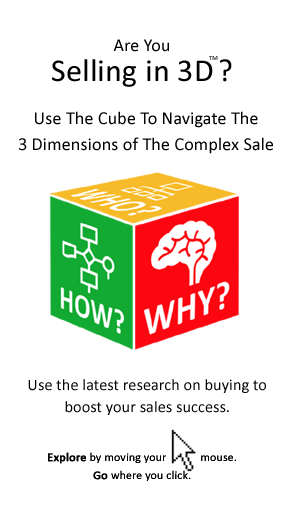 As the above list suggests there are at least 9 reasons why building a rational justification is important even for the most impulsive buyer. These are also the reasons why relying on the buyer’s impulsive decision could put the seller at risk of a stalled deal. Increasingly, even impulsive or emotional buying decisions must be justified rationally. The logic for the decision needs to be clear. The justification may be required to backfill a decision that has been already made, or to get a new decision sanctioned. Buyers may decide emotionally, but that does not mean that they don’t need to back up or justify their decision with numbers and analysis. For buyers who have already decided, this is the formula the seller can use in order to justify the chosen option. For new decisions it is the basis of the compelling argument for the budget to be allocated, or the decision sanctioned. 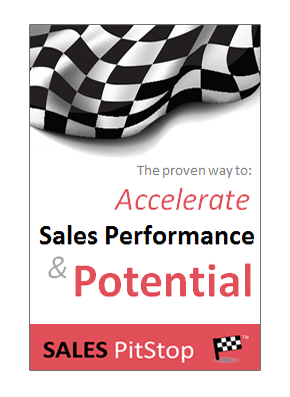 Without such a business case justification – whether it is one page or 20 pages – the buyer’s impulsive decision may not result in a purchase order. Buying decisions are made by people, not machines. That means emotion, impulse and other factors have a role to play in the decision. However it is important to point out that the picture of emotion-led buyers is somewhat at odds with our research into complex buying decisions. Certainly few buyers would admit to be emotional, impulsive or irrational in their buying choices. In addition the advent of buying processes and procedures in so many organization, and the increase scrutiny of buying decisions by finance and procurement, for example, mitigate against emotional, or impulsive buying decisions. Even if the buyer is impulsive and decides on instinct and emotion, the seller should always make logic his, or her friend.